There are over 30 million active runners in this country. Fueled by the ever growing participation in marathons and half-marathons, the group keeps growing! Most runners will at some time experience an injury severe enough to cause them to miss a week or more of training. Fortunately for runners, most of these injuries will indeed heal. An understanding of the causes of running injuries and basic treatment principles will hasten healing and return to training. 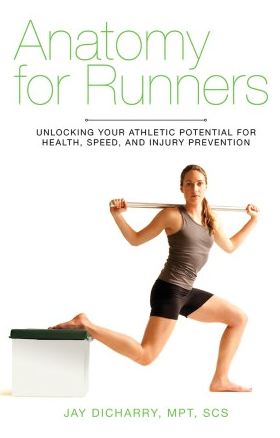 The majority of running injuries are related to overuse. We do too much, too fast, too soon. Most injuries occur during a transition period-a period where our training is undergoing some type of change. 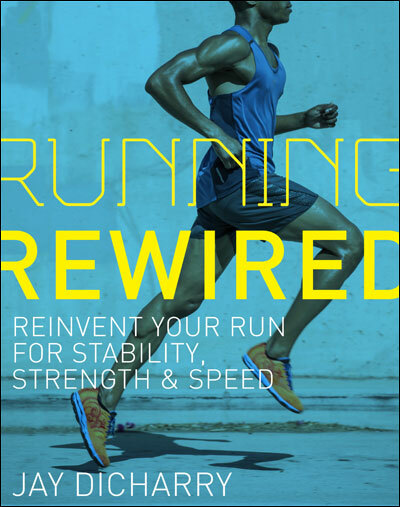 Common examples include increasing mileage too quickly, changing intensity of training, such as moving from a base/distance phase to a strength or speed phase, changing the surface one trains on, or even changing the type of running shoes. Rarely do I see injuries in folks who train very consistently, unless they are in the middle of a transition phase. The transition, rather than the absolute amount of training, seems to be liked closely to injury. A number of predisposing factors to overuse injuries have been identified. Intrinsic risk factors are anatomic/physiologic factors inherent to the runner. Depending on the particular injury, potential factors may include muscle weakness or imbalance, inflexibility, a leg length inequality, or feet that are excessively high arched or flat. 1. Establish correct and specific diagnosis. Know what you are treating. Plantar fasciitis and calcaneal stress fractures both present with heel pain. The treatment plans and the amount of training one may do, however, varies greatly. Runner’s Knee refers to a specific condition related to abnormal motion of the patella (knee cap). Runner’s knee, however, is only one of many causes of knee pain in runners, each requiring different approaches to treatment. Having a specific treatment plan directed at correcting the specific problem will guarantee best success. Ice: 10-15 minutes 3 times a day. No ice water buckets which can cause frostbite. I’m often asked which is best, ice or heat? In any injury in which there is active swelling or early on, the first few days after the onset of pain, ice is best. In the absence of swelling, after a few days either ice or heat can be helpful, whichever seems to help most. Medications: Aspirin or antiinflammatories can be helpful for a short period of time. Certain caution should be used, however. If you are allergic to aspirin or an anti-inflammatory, are pregnant, or have had problems with ulcers, kidney, or liver disease, you should not take antiinflammatories. If you take antinflammatories for 2 weeks and still have symptoms, it’s time to call your doctor. In some instances steroids, either tablets or by injection will be indicated. Remember, however, that steroids function only as an antiiflammatory and shouldn’t be viewed as a magic bullet. They are only part of a more comprehensive rehab program. Also, since injected steroids can potentially weaken the local soft tissues, I recommend not running for 10-14 days following an injection. Modalities: Athletic Trainers and Physical Therapists can apply certain modalities which are helpful in controlling pain and inflammation. Examples include electric stim, ultrasound, iontophoresis (using an electric stimulator to deliver anti-inflammatory medication) and phonophoresis (using ultrasound to deliver anti-inflammatory medication). Compress/elevate: If a joint is visually swollen (such as following a twisted ankle), wear a compressive wrap or sleeve. Elevate the limb on a stool when sitting. 3. Promotion of healing. This is where rehabilitative exercises come in. Flexibility, strength, proprioception/balance and functional drills are all important. More than anything else the athletic trainer or physical therapist does for us, these are the key. Rehabilitative exercises should not be thought of as just reinforcing strength and flexibility. The focal exercise also enhances blood flow and stimulates tissue remodeling. So, even the strongest and most limber of us will benefit from rehabilitative exercises. And remember-they only work if we do them! When injured, plan to spend 20 minutes a day on rehabilitative exercise in addition to any other training we are doing. 4. Control abuse. This means correcting the factors that lead to the injury in the first place. Look over your training and see if there is any factor that has recently changed, such as an increase in mileage, or the addition of strength or speed work. Talk to your coach to see if perhaps this transition can be made more gradually. Have your started running different courses? The addition of hills or trail running have been linked to various running injuries. Braces, straps, and orthotic devices, when properly used, will minimize overload to affected structures. And be sure that your shoes aren’t overdone. 400 miles max-then they become kick around shoes. 5. Fitness and conditioning. General fitness enhances local blood flow which aids in tissue healing. It also helps prevent deconditioning including areas that aren’t even injured. Certain injuries (ie sciatica or stress fractures) require rest from running. For most running injuries, one can usually continue at least some level of running. Supplement what you miss from running by adding time cross training. Cross training may also be an option for those who can’t run at all, but be sure to clear this with your doctor. Good options include deep water running, the elliptical machine or the bike. Try to simulate what you would normally be doing on land, whether it be short repeat intervals, tempo sessions or long aerobic distance training. 6. Return to sport. With most running injuries, runners can usually continue to least a modified schedule of running with symptoms dictating rate progression back to full training. When in doubt, be sure to discuss your running plan with your physician and trainer. Certain injuries (ie stress fractures) require a certain amount of time to heal even after we no longer have symptoms. Plan to continue the rehabilitative exercises for several weeks after return to training to ensure correction of the risk factors that may have led to injury. When returning to running after more than a month off, start with a walking, then walk-jog (walk a minute, jog a minute repeats), then run program. Increase mileage by no more than 10% per week. The longest run should not increase more than 2 miles in any given week. One’s long run should usually not exceed 30% of one’s total weekly mileage. One exception: First time marathoners participating in a lower mileage program. Remember, however, that this amounts to a big progression, so avoid temptation to exceed one’s program in other areas. Change shoes every 400 miles and be fitted by someone familiar with running shoes and gait styles. The shoe your training partner loves may not be ideal for you. 1. You may run with mild pain (0-3/10). If you have moderate pain (4-6/10), back things down until the pain is no more than mild. If you have severe pain (7-10/10), stop running! 2. Discomfort that is present at the beginning of a run, but resolves after easing into the run is usually associated with mild injury. If you know that symptoms will worsen beyond a certain pint (mileage or pace), you have defined your limit. Do not go beyond this point. 3. No limping allowed! Sounds like a no brainer, but folks violate this all the time. One should not run with an injury that forces a change in normal gait. The flip side is that if you are able to run with a normal gait and the discomfort is no more than mild, the likelihood that healing is prolonged is minimal. Remember-with certain injuries (ie sciatica, stress fractures) we simply should not run. When in doubt, consult your physician for specific guidelines. Following these principles should ensure most complete healing and a safe return to training. This entry was posted in cycling, rehab, running, Uncategorized and tagged cycling, injury, overtraining, rehab, running on June 17, 2010 by an athlete's body.